George VI was the man not born to be king. He nonetheless rescued the British monarchy in the aftermath of the abdication crisis and cemented its prestige with his well-judged performance during World War II and the Blitz. 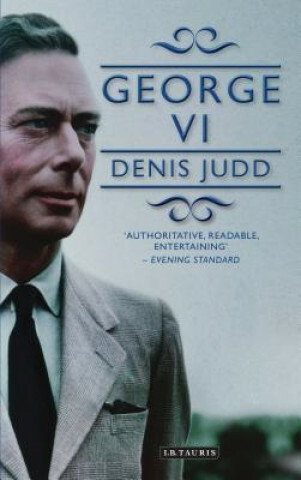 In this acclaimed biography, Denis Judd tells the story of Prince Bertie s transformation into King George VI including his struggle with a crippling shyness and sense of inadequacy, exacerbated by the stammer which was the focus of the Oscar-winning film The King s Speech. His marriage to the self-assured and supportive Elizabeth Bowes-Lyons and his unexpected accession to the throne in 1936 changed the direction of the young prince s life for good. Once on the throne, it was he who bore the weighty responsibility for restoring the nation s confidence in their monarchy following his elder brother s abdication, and for maintaining morale during the darkest days of World War II, when, together with Winston Churchill, his dignified presence functioned as a beacon of reassurance to civilians and military alike. Denis Judd provides a fascinating, if sometimes controversial, reassessment of the man who, quite unexpectedly, came to occupy an extraordinary position in a time of unprecedented change.